BELOVEd Friend and Fellow Traveler, I AM overJOYed that your path has led you to the exploration of becoming an INITIATE of the SHINE Wizard Academy. The inception of the Academy is INSPIREd by the need of the hour in relation to humanity’s EVOLutionary journey. The EVOLutionary process is not something new to the family of humanity. Science has proven that WE have been EVOLving since the dawn of time. Up until NOW, EVOLution has been primarily focused on our biology, which has occurred organically with little or no effort on our part. What WE have embarked upon in this lifetime is quite a different story…NOW, the EVOLutionary task that is upon US is ONE of an EVOLution of CONSCIOUSNESS. WE are collectively experiencing a SPIRITual AWAKENing of unprecedented proportions. 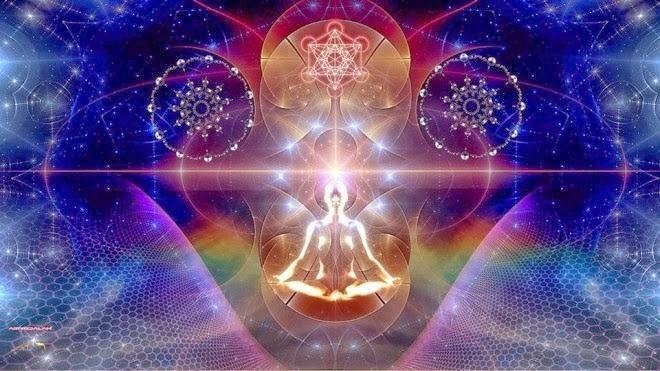 As WE each are UNIQUE facets of the Collective, WE are AWAKEning in our own individual DIVINE time which involves harnessing our gift of FREE WILL. This very moment of ‘time’ is the ripest that it has ever been for you to ALIGN with your DIVINE POTENTIAL, yet you get to choose to say ‘YES!’ to what truly is the adventure of a lifetime(s): The human BEing REMEMBERing AND CONSCIOUSly ACCESSing its DIVINITY for the betterment of his/her life AND in service to the upLIFTment of Mother Earth and ALL life upon her. Yes, Dear ONE, YOU are here for PROFOUND reasons. Just a few years ago, on December 21st, 2012, WE entered an entirely new Era on the Planet. This Era has the POTENTIAL to BE ONE of PEACE, UNITY, SUSTAINABILITY, and the embodiment of ONENESS. You are a key player in this co-CREATIVE endeavor. The time has come for you to harness the MAGIC that lives within you to BE and do ALL that you were designed to do and BE. ONE of the INSPIRATIONal GUIDES of the Wizard Academy is the brilliant, innovative, and MAGNIFICENT Joe Campbell, who GIFTed the world with the AWAREness of the Universal theme of ‘The Hero’s Journey’. In HONOR of the RISE of the FEMININE, I affectionately call it ‘The Hero/SHEro’s’ journey. This is a theme that not only weaves in and out of cross-cultural mythology, it is TRUE for each and every ONE of US. YOU are on a PROFOUND Hero/SHEro’s Journey! 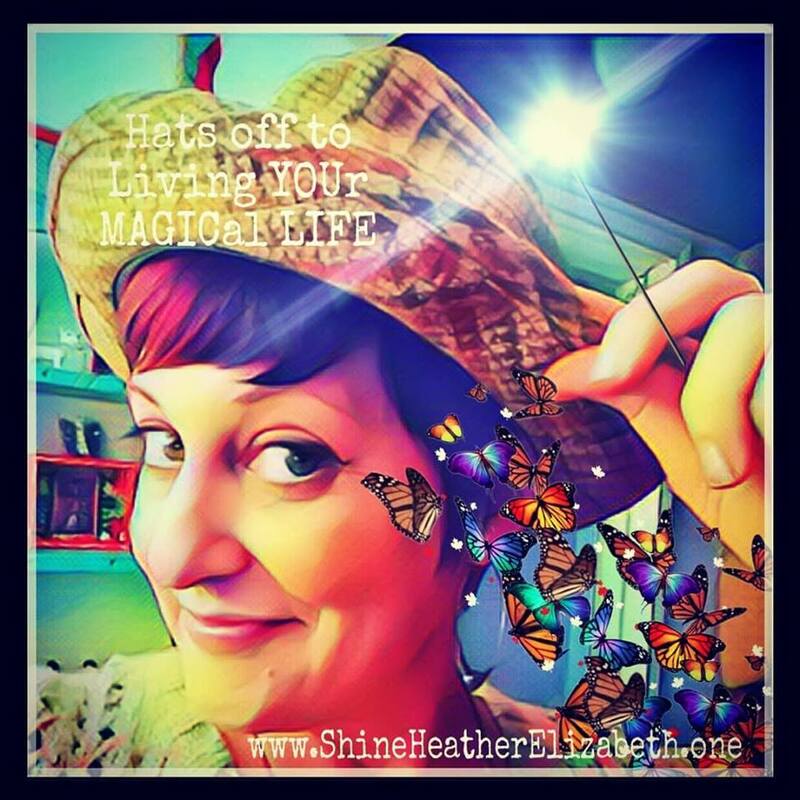 The SHINE Wizard Academy was CREATEd to give you the tools needed to FULFILL the EVOLutionary ‘Call to Adventure’ of AWAKENing to your full POTENTIAL! When I first met Heather in 2012, she was just preparing to expand her work in a more holistic direction. She had already been a licensed therapist for many years, while continuing to study other healing arts. Even more importantly, Heather had been pursuing a path of self-knowledge which involved deep personal work and expansion of her vision. In 2012, she was ready to make a move that would allow her to pull out the stops – to serve her clients with a rich and powerful new form of “counseling”. Her expressed intent would be to support others in forging a sustainable path toward healing, growth, and purpose in life! Over the course of 13 Moons (an entire Galactic year), Initiates will experience virtual 1:1 and Group ACTivations every Moon (28 days); recorded video transmissions every thirteen days that explore the archetypal themes guiding the journey; access to ALL SHINE online e-courses; and THREE in-person RETREATS which will include SPECIAL guest presenters on topics such as Sound Healing, Naturopathic Medicine, Visionary Art, and Manifesting Wealth and Well-Being in ALL areas of your life! Initiates will BE enCOURAGEd to identify, cultivate, and BIRTH a project that is meaningful to them which enhances the HEALing and TRANSFORMation of themSelves, their communities, and therefore the world. In addition to this ACT of SERVICE, a portion of the tuition for the academy will go towards the CREATION of satellite SHINE Wizard Academies for youth in inner-city communities, beginning in Austin, and stretching outward across the country and eventually the entire globe. Upon completion of the Academy, Initiates will BE certified SHINE Ambassadors and Reiki Master Teachers in the Usui tradition. As a SHINE Ambassador, you will BE asked to represent the SHINE (Supporting Humanity In Navigating EVOLution) Movement through your own path of SERVICE in the world AND through various speaking engagements, presentations, and events. Initiates of the SHINE Wizard Academy are embarking upon a quest to ALIGN with SPIRITual maturity. With the SPIRITual rEVOLution in full swing, SPIRITual maturity not only facilitates the experience of a MEANINGful life, it IS the key to navigating these tumultuous times with a keen understanding of the greater PURPOSE of what is occurring, and your necessary role within it. * The ability to share and RECEIVE the LOVE of the Creator ABUNDANTly whatever yours AND the Collective’s circumstances might BE. *An approach to life that involves an OPEN mind, which is a WILLingness to TRANSMUTE (transform) fears, judgements, self-doubt, and distractions which then results in perceiving yourSelf and your life from a space of LOVE and PEACE within. *Mastery of the heART of ‘casting spells’, which is harnessing the power of INTENTion used through your thoughts, feelings, words, and behaviors. *A keen AWAREness of the heART of Feminine RECEPTIVITY by learning to speak the language of SYNCHRONICITY through accessing MEANINGful messages from the Universe. *Mastery of the heART of PRESENCE through LIBERATION from the shackles of the past and any anxiety about the future. As of this NOW moment, the Initiates of the SHINE Wizard Academy are intuitively receiving the ‘Call to Adventure’. 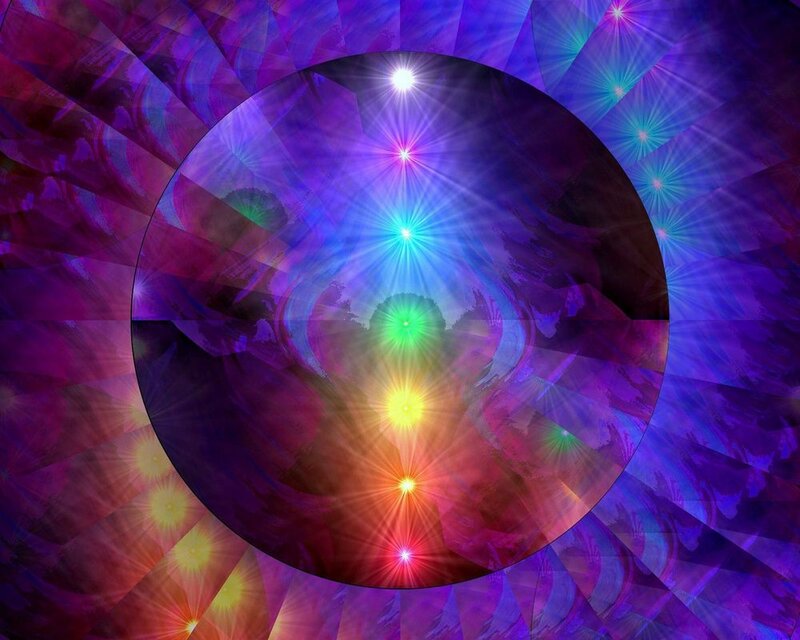 The Academy commences at the beginning of the new Galactic year, July 26th, 2019 (Magnetic Moon Day 1, Kin 14 White Magnetic Wizard). Are you ONE of the Initiates? Melissa Self-Existing Serpent shares about her experience as a graduate of the SHINE program. Melissa is a Yoga Teacher, Energy Medicine Practitioner, and International retreat facilitator and guide extraordinaire! BEAUTY-FILLED, MAGICal, MAGNIFICENT YOU, INFINITE GRATITUDE to you for gracing my page with your SACRED Self! I hope that you feel INSPIREd, EXCITED, and filled with HOPE for what it is POSSIBLE for you in this NOW moment of your Hero/SHE’ro’s journey. Your Authentic Self is beckoning you to leave the ‘ordinary world’ to DISCOVER how EXTRAORDINARY you truly ARE! Heed the call by CLICKING HERE to set up your consultation. The SHINE Wizard Academy page wouldn’t BE complete without the GIFT of song. Music is a Universal language of LOVE from the heART of the musician to the hearts of ALL those throughout time and space who CONNECT with the MAGIC of the song. You are the Maestro of your life. You have the capacity to CREATE a PHENOMENAL work of heART with the Masterpiece of your life when your POWER of INTENTion is in ALIGNment with the prompting of your heart+Soul’s desire. Even if you have heard this song many times before, I invite you to RECEIVE the message with an AWAREness that YOU ARE MAGIC. YOU are being called to EMBODY your MAGIC like never before. If this is your first time to hear this song, welcome to the WONDERful realm of Xanadu! Your inner MUSE has been ACTIVATEd! enJOY! THANK YOU for the LIGHT that you ARE! May your journey BE infinitely blessed!